Hello! Niki here and today I have another birthday card idea for you. You can never have enough birthday cards tucked away, am I right? This one is for someone a little extra special since it takes a bit of time to color. 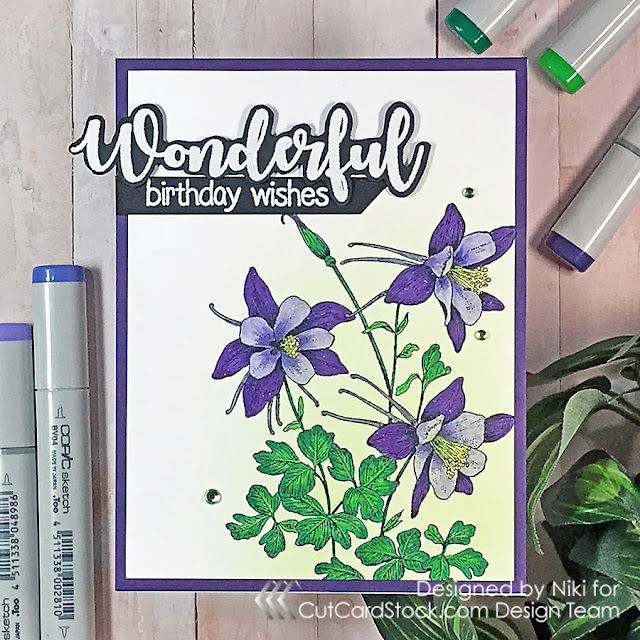 I chose Green Hills (Hero Arts) to blend into the background because it’s a beautiful light color and won’t interfere with the colors for the columbine image (Whimsy Stamps). I stamped the flowers in Onyx Black (Memento) so I could color them with Copic markers. For the flowers, I used a blend of BV01, BV02, BV04, and a touch of G14 with Y13 for the yellow centers. The leaves are colored with a mix of G14 and G17. 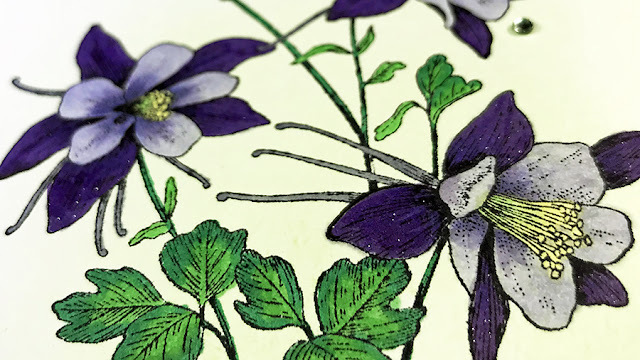 To give the flowers a little extra sparkle, I painted over the darkest petals with a Wink of Stella Brush Pen in Violet. 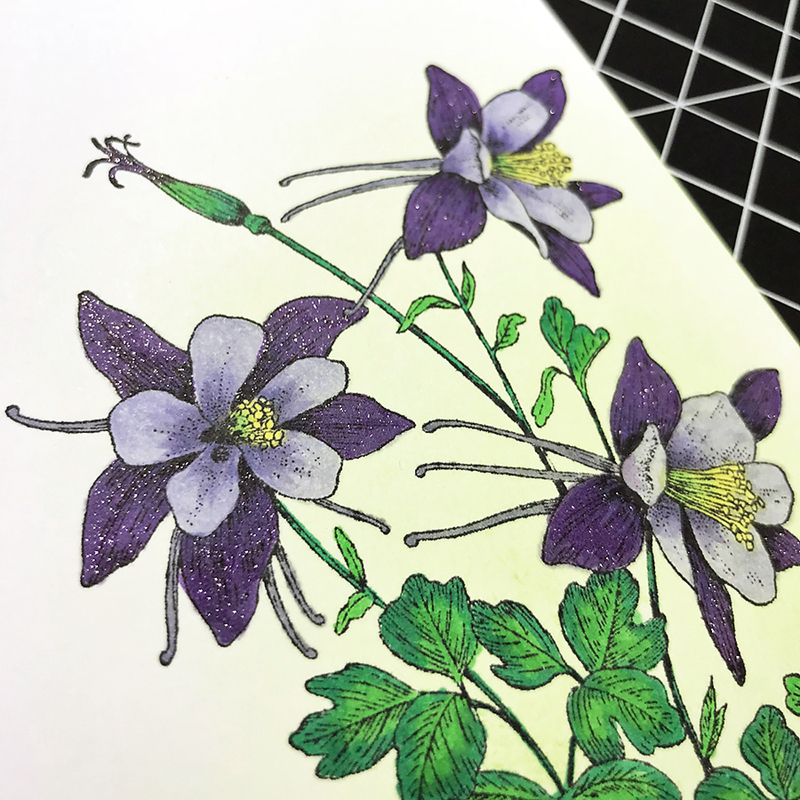 To frame those lovely columbines, I trimmed 1/8” from the edges of the Classic Crest, then I used an A2 sized piece of Basis cardstock in Dark Purple to mat the card front. 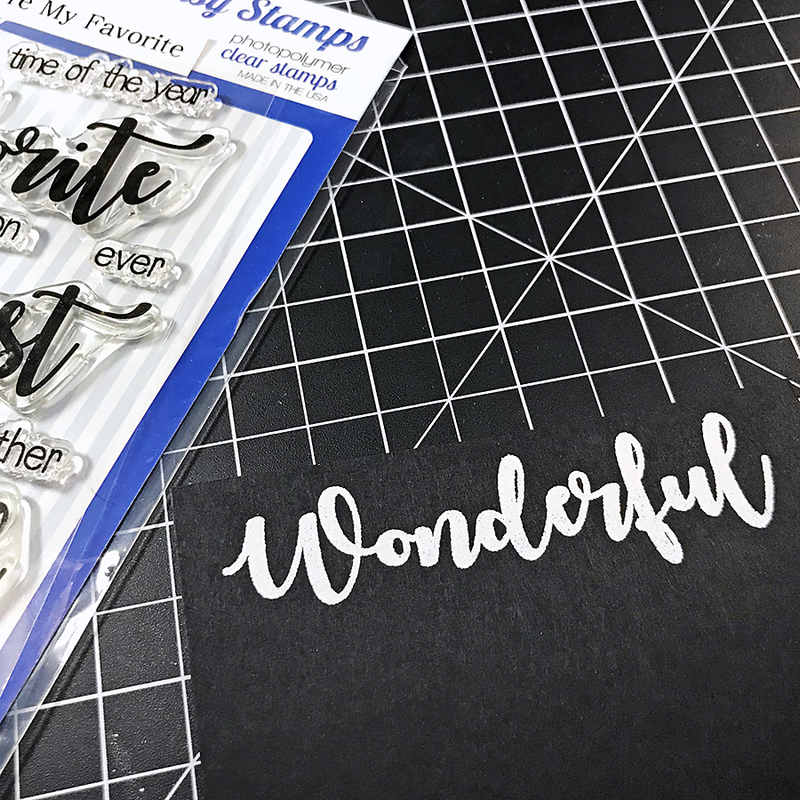 To make the sentiment, I stamped the word “Wonderful” (You’re My Favorite, Whimsy Stamps) with embossing ink on a piece of Basis cardstock in Black, and heat embossed with fine white embossing powder (Ranger Industries). It was too big a sentiment to leave as a strip, so I fussy-cut it out, adhered it to the card front with foam squares, and added “birthday wishes” on a skinny piece of cardstock just below it. 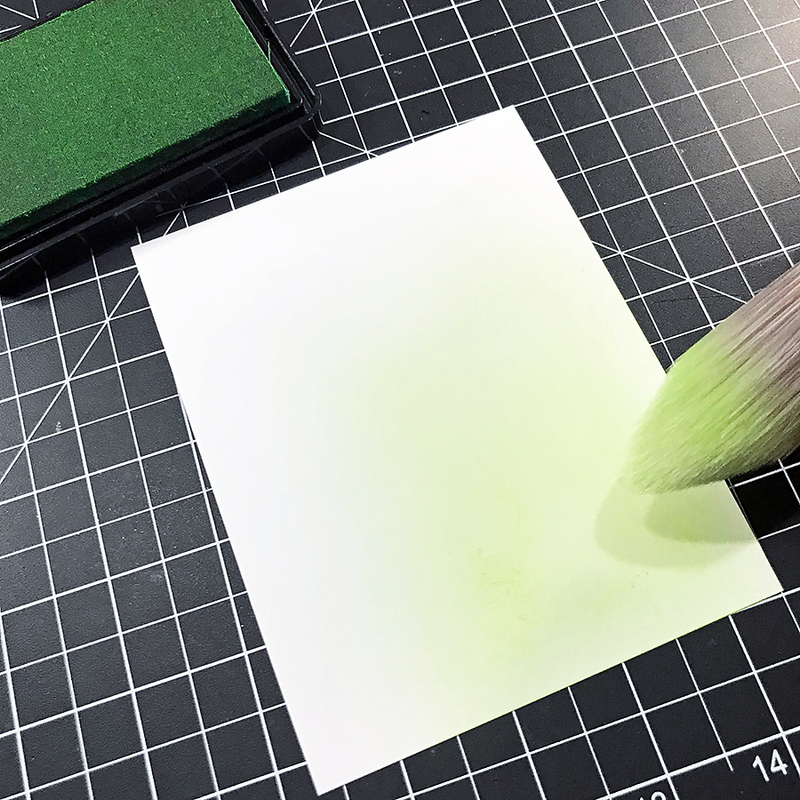 To finish up, I popped a few light green adhesive gems around the flowers, then attached the card front to an A2 card base with Scor-Tape. If you'd like to try your hand at coloring, the smooth-surfaced, marker-friendly Classic Crest is on sale until the end of the month. 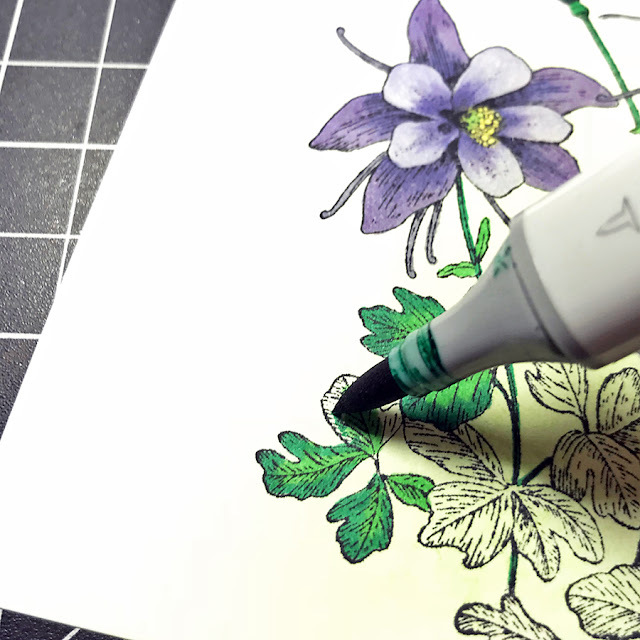 Grab a package to test out your favorite coloring mediums!